I swear, hole-in-the-wall restaurants always have the best food. 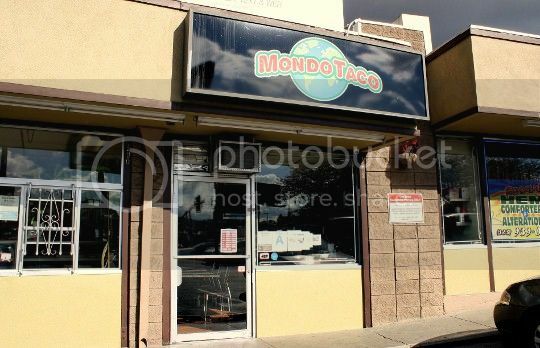 And that is in no way meant to be offensive to Mondo Taco, a newly discovered spot (thanks to Blackboard Eats) in the Miracle Mile/La Brea area, where the gourmet taco varieties are damn near endless. I'd always passed by Isabella's Cookies while shopping in Whole Foods or other natural food stores, but I never thought twice about them. Of course I prefer to bake my own goodies, so it's not too often that I peruse the cookie aisle. 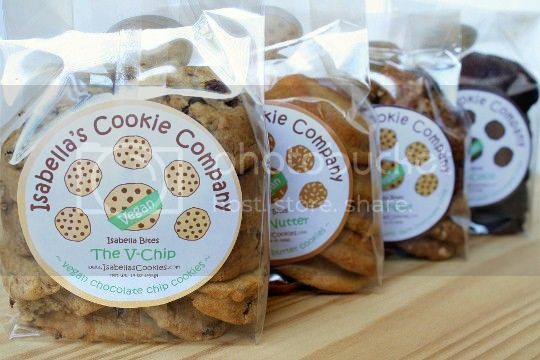 What was unbeknownst to me was that of their 25+ cookie flavors, five of them are vegan. Vegan cookie review? Here we go! I have to admit: I wasn't immediately impressed when I tried these snacks. They looked, smelled, and tasted just like popcorn. So why not just eat popcorn, right? 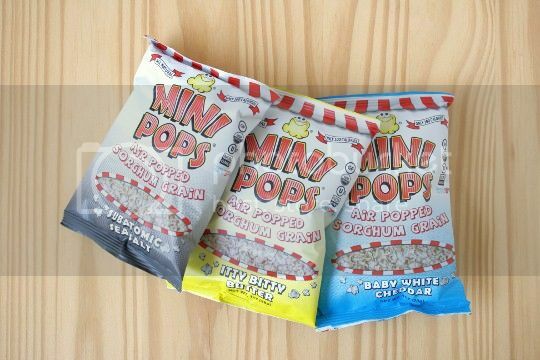 Mini Pops is actually air-popped sorghum grain, which from a nutritional standpoint turns out to be a lot healthier than popcorn. Here's where the points start adding up. Vegan meatballs are very underrated. I don't know enough people that talk about or eat them, myself included. 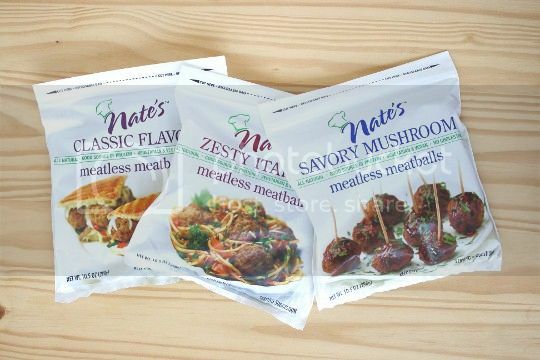 Now perhaps some of you may have heard of, tried, or are already loyal fans of Nate's Meatless Meatball, but I was a complete newbie. Sure, I've tried other brands of vegan meatballs, but I never quite liked the taste or the texture. Until I tried Nate's. 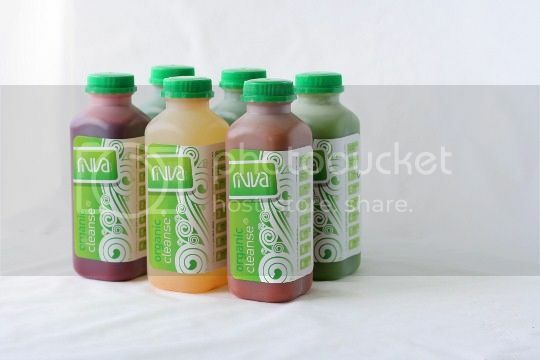 My first ever juice cleanse, thanks to the fabulous Cafe Rivva! For the sake of the being able to say I've done it, I hopped on the latest bandwagon to check out this booming, oh-so-LA trend. Although I was a bit apprehensive, it ended up being quite an experience. Somehow I just KNEW this was going to be amazing as soon as I laid eyes on the recipe. 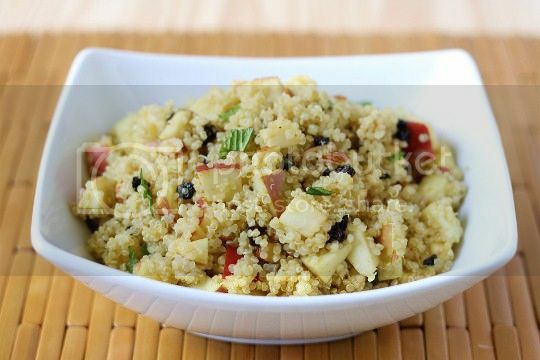 Quinoa, almonds, and apples tossed in a honey-curry-lemon dressing. I mean, what could be better? In fact, I'd deem this one of the best grain salads I've ever had in life! Everyone who knows me knows I don't like making the same thing twice, but this is definitely an exception. 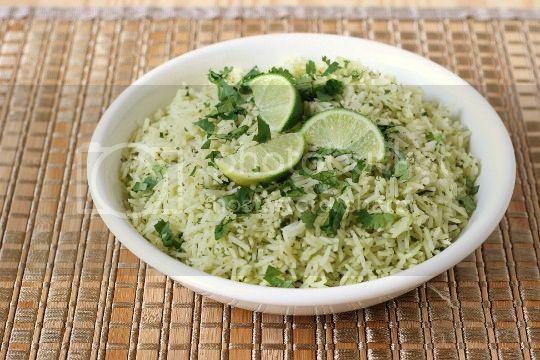 Cilantro and lime, one of the great Mexican flavor combinations. Apply that to rice, and you've got an excellent side dish waiting to be paired with bold, spicy flavors. With a few adjustments to the original recipe, this can be a staple for almost any meal. Update! (4/11/12) I've corrected all broken links with the exception of the following categories: Italian, Main Dish, Side Dish, and Soup/Stew. Thank you for your patience! So it looks like Vegetarian Times, the magazine I've gotten most of the recipes on the site from, has revamped their website. And like a not-so-smart web redesign, they've changed the titles of each and every one of their recipe links. This means for me, and probably many other bloggers out there, that there are broken links galore running rampant through this site (probably around 400 recipes!). I plan on fixing each and every one, but as you can probably imagine, that's not going to happen overnight. Please bear with me, and if you can't find a recipe, it's probably easiest to just do a search on the VT website. 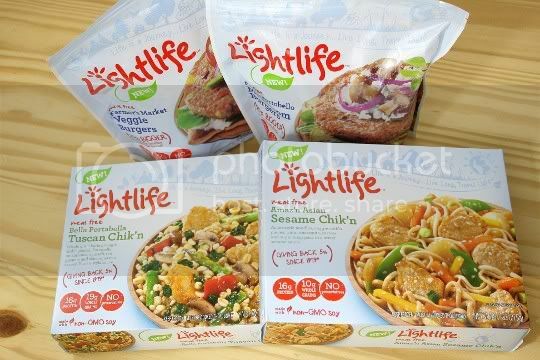 The Lightlife you've come to know and love--featuring vegan and vegetarian products in major supermarkets across the country--has a new look and a load of new items. 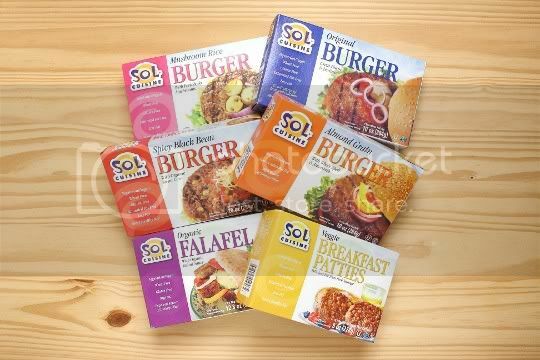 They've expanded into the veggie burger and frozen meal realm, with four new varieties for each, available everywhere in June. 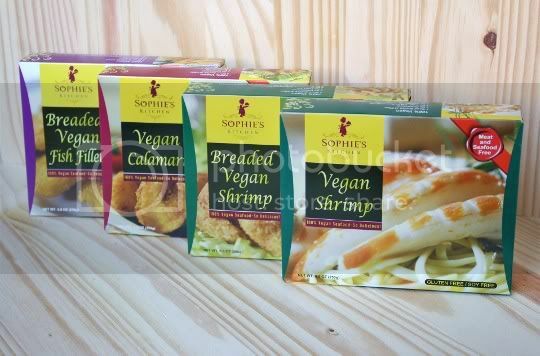 The new items are only vegetarian (not vegan), which is strange, considering that seems to be the direction most companies are headed these days. But fret not veggies, you'll be able to add most of these new products to your quick meal option lineup. With so many veggie burgers on the market, how do you know which to choose? The possibilites and varieties seem endless: some are more "natural" than others, some taste flat out horrible, and some even contain egg whites and dairy (watch out, vegans!). 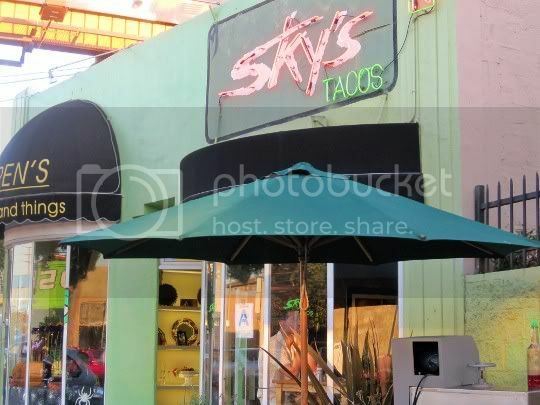 It baffles me that more Los Angelenos don't know about Sky's Gourmet Tacos, the self-proclaimed Mexican restaurant with a "splash of soul." Let me be the first to tell you, this place is WAYYYYY underrated. It's also the true definition of a hole in the wall: small and obscure, but some of the best food that may ever cross your palate. Plant-eaters and carnivores alike can dine here in culinary harmony, as there's an entire vegan/vegetarian menu containing faux meat, tofu, vegan cheese, and more! I'm still on the fence about tempeh. That bitter, slightly sour flavor just does not appeal to me. Well, until now, that is. 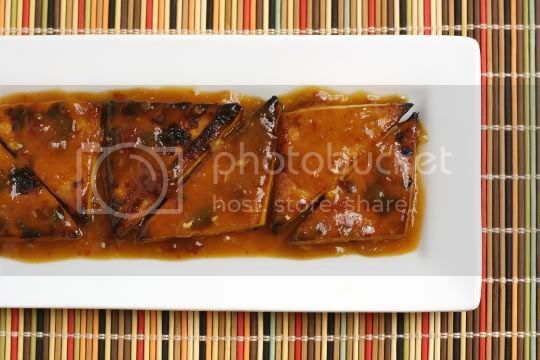 Apparently, marinating it in a delicious, addictive sauce and broiling it is the way to go. Although this isn't a traditional kung pao dish in the sense of the ingredients, it's an absolutely wonderful Asian-inspired dish that you won't be able to get enough of! 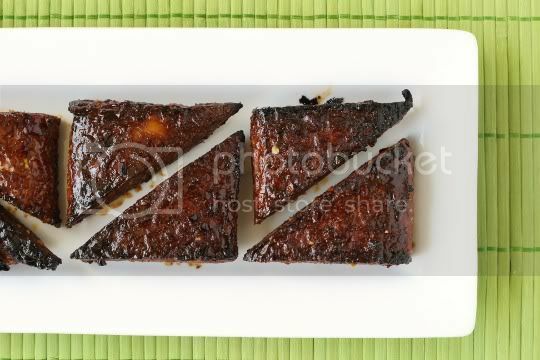 So I think I've found my new favorite way to cook tofu: broiling. It does things to tofu that you'd never think possible. This recipe is so delicious that you'll be amazed at how simple it is to make, and you may find yourself making it again and again. If you're trying to turn someone on to the joys of this soy food, this may be just the recipe to use. 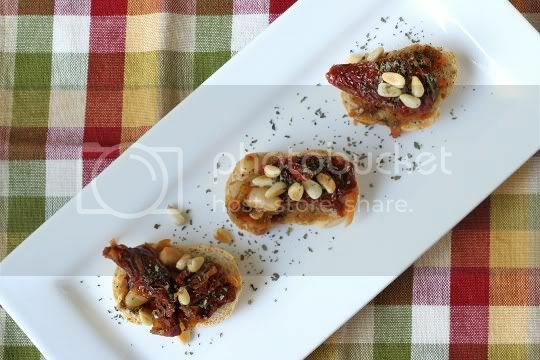 Dried fruit is sooooo 2011. 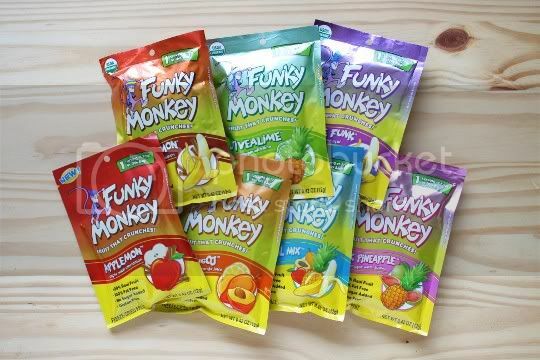 Enter Funky Monkey Snacks for 2012 and beyond! Freeze-dried fruit (as opposed to regular dried fruit) is where it's at, from flavor to texture to nutrition. 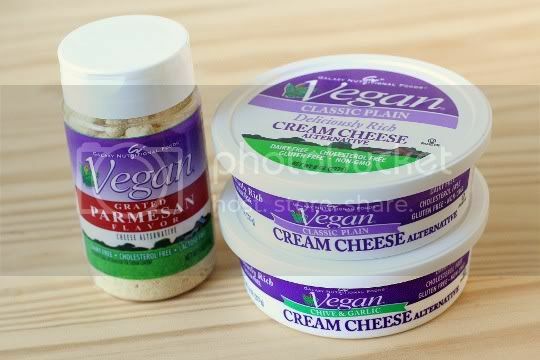 This stuff is perfect for a quick snack any time, and it travels so well! 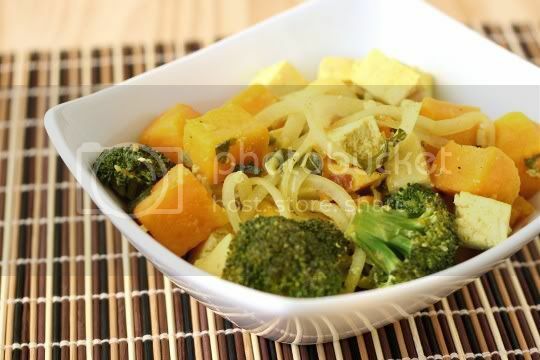 Pasta made out of...squash? And not the spaghetti kind? I can't tell you how frightened I was to try this. I know this is what a raw foodist's dreams are made of, but I'm not quite on that level myself. 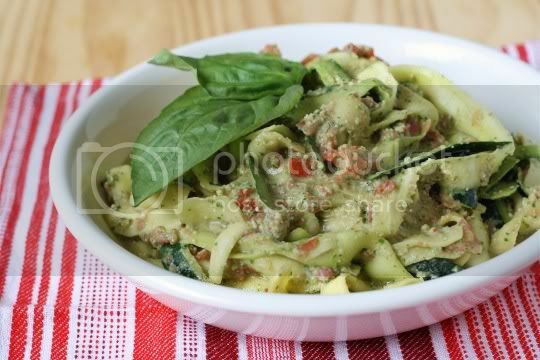 Still, the pesto on its own sounded delicious, so I was willing to give in to the idea of raw pasta. The glowing red neon "vegan" in the window and the huge pink sprinkled donut is all that distinguishes Donut Farm from the outside. 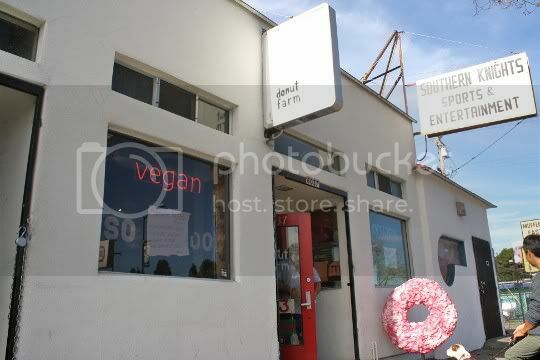 This inconspicuous, cruelty-free Oakland bakery not only creates some of the tastiest and creative vegan donuts around, but there's also a fabulous weekend brunch that is clearly a popular choice with nearby residents. Don't be put off by its no-frills, hole-in-the-wall appearance: Donut Farm (aka Pepple's Donuts...actually, I'm not sure which is the "correct" name) is one of the Bay Area's best kept secrets.